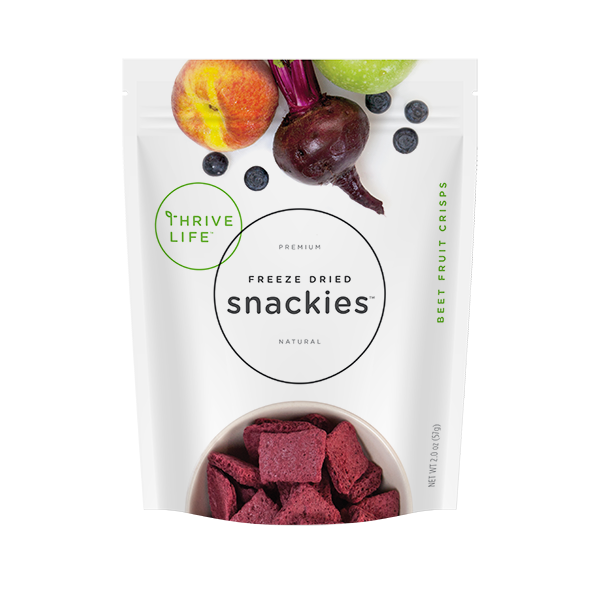 Made from 100% fruits and veggies, these crisps pair the fantastic nutrition of beets with the great taste of peaches, apples, and blueberries. A handful of crisps (1/2 cup) is 2 full servings of fruits and veggies! Peach Puree Concentrate, Apple Puree Concentrate, Blueberry Juice Concentrate, Red Beet Juice Concentrate, Blueberry.